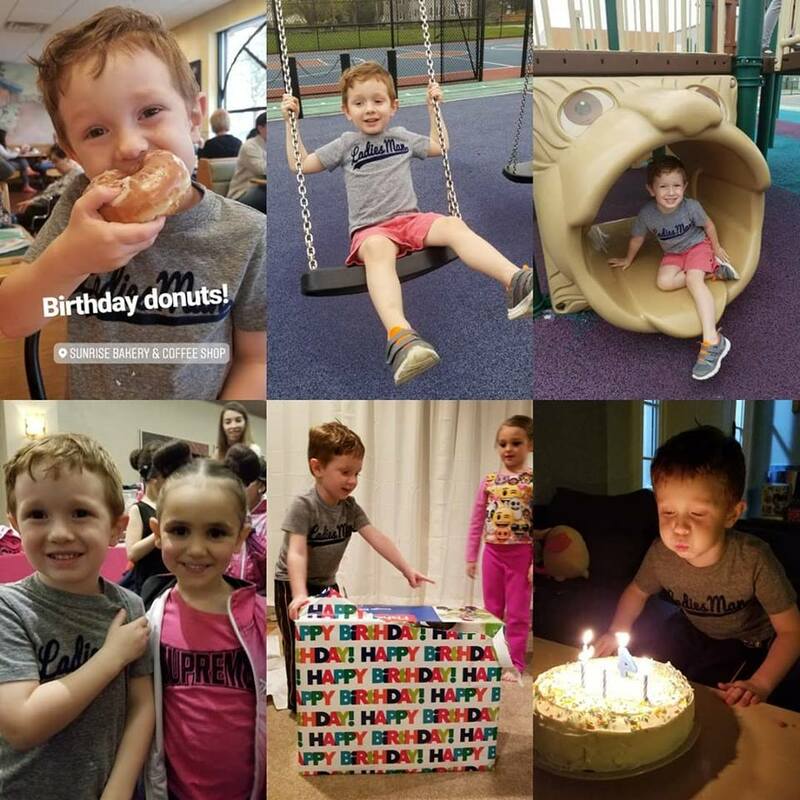 The Busy Giffs: Tyler is 4! It's crazy to me that this perfect little man is already 4! But then again, I feel like he's always been a part of our family so how has it only been 4 years? 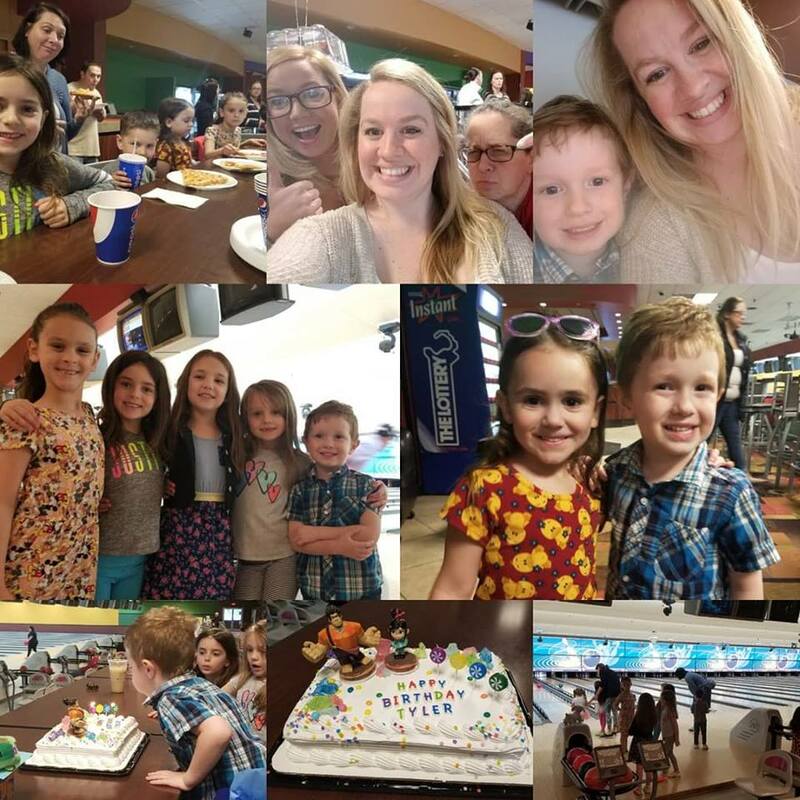 This year, Tyler got to celebrate his birthday with his family and his friends on two separate days and got to have his own birthday party. His actual birthday was so busy! Emma had a dance competition in Taunton so we knew we would be spending most of the day there, so bright and early, we were up and on our way to get our favorite donuts from Sunrise Bakery in New Bedford. We stopped at a playground on the way home and had so much fun since it was just the three of us. We're so lucky that our dance family is so amazing and we had cupcakes with everyone after the girls were done dancing! The dancing didn't end until 7 pmish, so our presents and cake were done late that night! It felt a bit scrambled but he was so happy! His birthday party almost didn't happen! All he asked for this year was a "playground party", but thanks to the rain in the forecast, we ended up moving and rescheduling to the local bowling alley less than 48 hours before the scheduled party time! Wonderbowl in New Bedford was absolutely amazing in accommodating us and we had so much fun! I love seeing my boy with his friends, talking and interacting. Some days I can't believe he was ever so delayed in his language. "I wanna do mine bird-day"
"You (mom), wif Emma, Dad"
What can you do really well? Whats the best time of the day? "when it's cold and snowy"